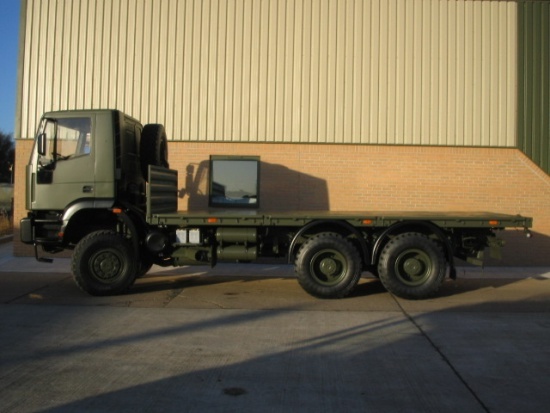 Iveco 260E37 Eurotrakker LHD 6x6 cargo trucks. We have a choice of trucks in stock as flat bed, some trucks available with rotzler 10 ton hydraulic winch and also available with Hiab crane. 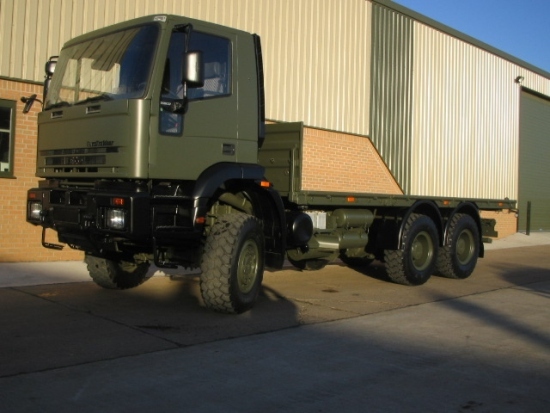 These trucks are all NATO stock with kilometres from 20,000 only. Iveco engine and ZF transmission, steel suspension. email: sale army-uk.com or by click button "ADD TO ENQUIRY" below. For complete Terms & Conditions See Main Website. Shipping quotes are subject to confirmation from our shipping company and are usually valid for 20 days from receipt.